John Z. DeLorean is an automotive legend. At GM, he created the Pontiac GTO, setting off the muscle car era, turned around the Pontiac and Chevrolet brands, and was set for an upper-level executive seat at the company when he decided to jump ship, escape the GM bureaucracy, and create his own company. Driven by passion and sheer determination, he collected $200 million in funding for the DeLorean Motor Company in order to create his dream car– a safe, ethical sports car. The resulting DMC-12 — a stainless steel gullwing coupe that still draws universal attention on the road — was popularized by the Back to the Future movie series. 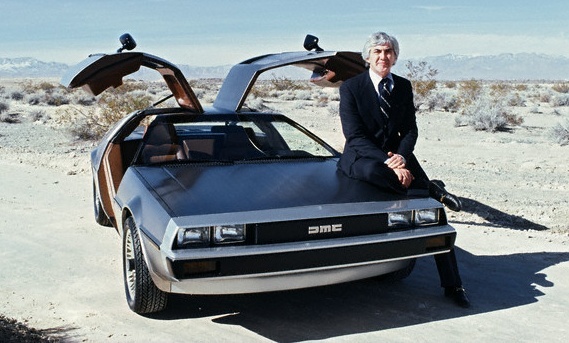 Unfortunately, John DeLorean passed away in March 2005. AOL Autos editor Tom Torbjornsen was scheduled to interview him the following week, but Torbjornsen had a phone chat with DeLorean the week before, on the basis of which he put together his “best guess at what [he] thought John might have said based on [their] conversation”– it’s an interesting read. DeLorean revealed plans to relaunch DMC with a new sports cars inspired by the DMC-12. It’d be a lightweight coupe with carbon fiber body panels, a high-performance Renault engine, gullwing doors (of course), and an optional hydraulic hybrid drivetrain based on technology from Hydristor. Sadly, DeLorean never got a chance to realize these plans.